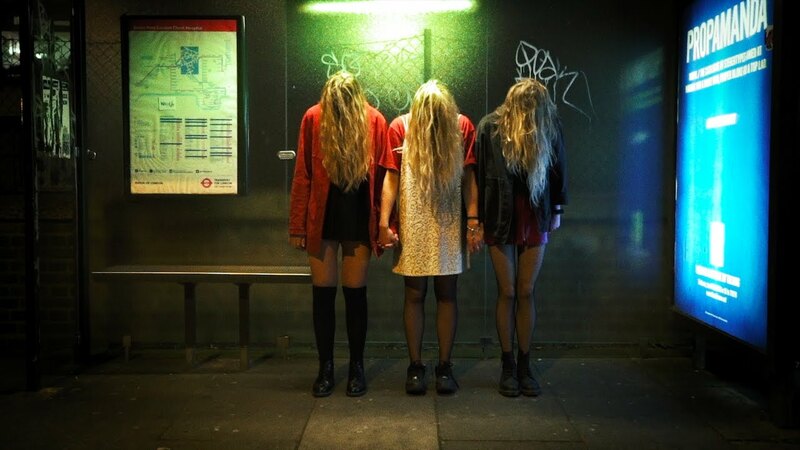 Watch: London's Grunge Pop Trio "Hey Charlie" Release Debut Video "Hey" - GENRE IS DEAD! London’s HEY CHARLIE have just released the video for their debut single “Hey”. The song was produced by Spring King’s Tarek Musa at Grand Cru Studios, located on a barge in London’s St. Katherine’s Dock. The track captures their love of 90s grunge and punk, whilst wholeheartedly embracing their girl gang mentality and is a statement of things to come from HEY CHARLIE​ later this year. The initial tremors that led to the formation of HEY CHARLIE​, took place in early 2015 when Lizz (guitarist & vocalist) and Sophie (bassist & vocalist) crossed paths whilst studying in London. Their friendship spawned from a mutual love of music, spurring their decision to form a band. Wanting to inspire other girls to also pick up instruments, Lizz and Sophie embarked on an arduous journey for the final piece of the HEY CHARLIE puzzle which the girls finally found in the drummer Lauren and hitting it off immediately, HEY CHARLIE​ was born.